The fund has warned that fiscal balances across the GCC and other Middle Eastern countries will deteriorate if the policies continue to remain unchanged. The International Monetary Fund (IMF) has retained its robust growth forecast of 4.5 per cent in 2014 and 2015 for GCC countries despite risks arising from a potential slide in oil prices. Non-oil sector growth in the Gulf countries is also expected to remain unchanged at six per cent this year and the next, while rising public government capital expenditure and ample private credit expansion support domestic investment, the fund said in its regional economic outlook report released today. In addition, public infrastructure mega projects in countries such as Qatar, the UAE and Saudi Arabia are forecast to help expand sectors such as tourism, transport, construction and wholesale and retail trade. Across the wider Middle East, North Africa, Afghanistan and Pakistan region, deteriorating security conditions have led to a downward revision of growth forecasts for the non-GCC countries by 2.25 percentage points, despite positive growth in Iran’s economy. The fund said that growth could rise to three per cent in 2015, depending on whether security conditions allow a rebound in oil production. 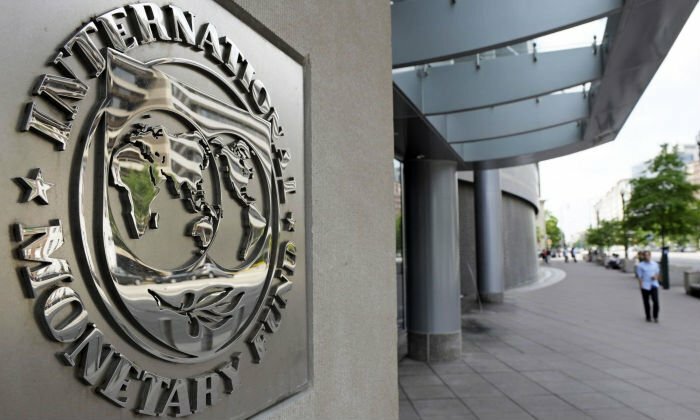 But despite a favourable economic outlook, the IMF warned of weakening fiscal balances across GCC countries and the wider region, urging nations to address these risks. “Fiscal balances are forecast to deteriorate. Notably, Saudi Arabia is expected to run a central government ﬁscal deﬁcit as early as 2015,” the report said. “In aggregate, after reaching a peak of 7.75 per cent of GDP in 2012, the oil exporters’ ﬁscal surplus is expected to be only 1.25 per cent in 2015 and to vanish by 2017. Although facing a possible future fiscal imbalance, the IMF added that current fiscal positions of GCC countries were stronger than non-GCC states with Qatar and Kuwait having substantial buffers. However, the fund noted that the UAE and Saudi Arabia, which also have similar buffers against economic risks, are not conserving enough wealth for their future generations. Meanwhile, Bahrain and Oman were found to have weaker fiscal positions and fewer resources compared to their Gulf counterparts, as per the report. In order to strengthen their fiscal position, the fund called countries in the region to reform energy subsidies, raise their non-oil revenues and strengthen systems for controlling budget spending. The IMF also urged GCC countries to slash their burgeoning public wage bill, improve their quality of education and reduce barriers to competition to improve non-oil trade. The report echoed comments by IMF chief Christine Lagarde on Sunday as she urged the GCC countries to focus on fiscal consolidation in the medium-term.